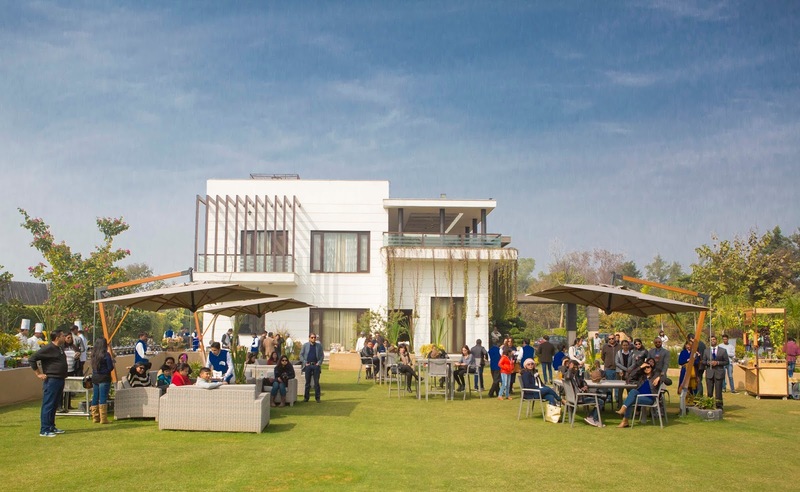 It was a beautiful Sunday afternoon as I headed towards Serenity Villa, Fatehpur Beri to witness a fine conjugation of wilderness and luxury. 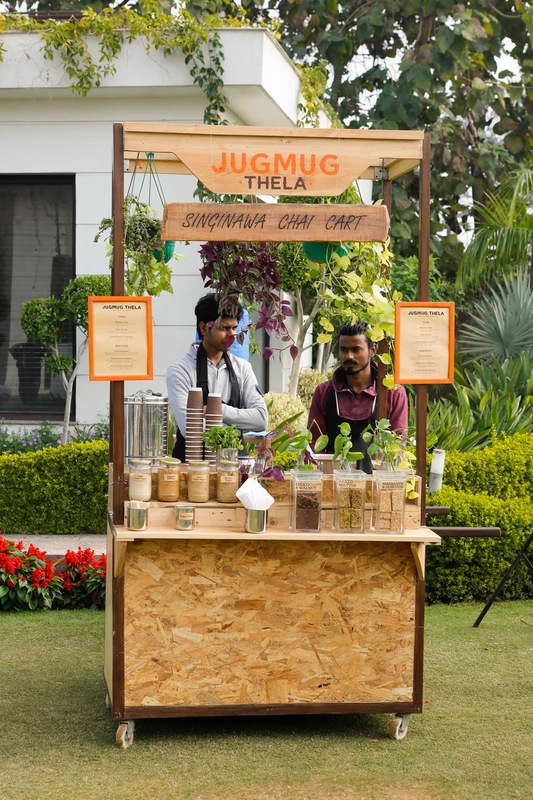 The event was an invitation on behalf of the Singinawa Jungle Lodge based in Kanha, MP. I was excited to catch a glimpse of the much talked about resort at the preview. I was welcomed by the staff at the Serenity villa. The event was beautifully planned where each corner was vocal with artistic nuances and culinary delights. A tea tall near the entrance allured me towards its captivating aroma. I tasted fine tea with homemade biscotti that were truly delicious. 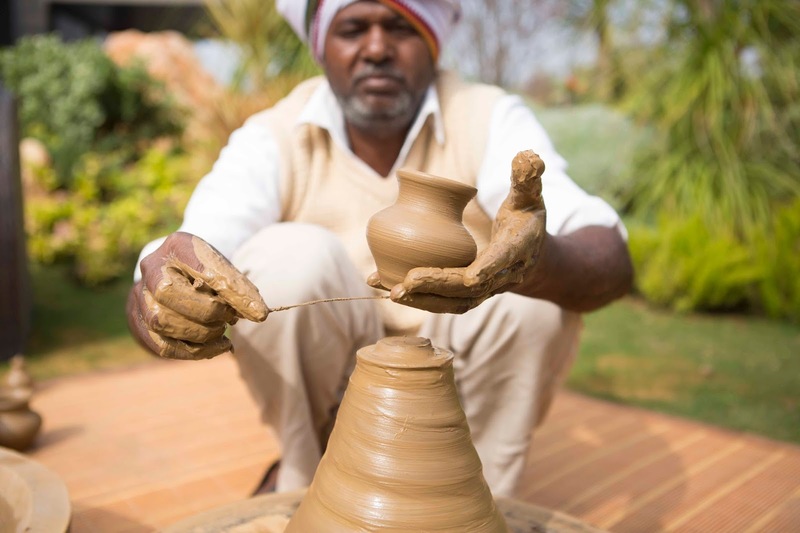 skilled potters and gond artists that were meticulously exhibiting their creativity with their craft. I volunteered at the potter’s wheel and made a few pots as well. The sensation of mud and water instill a calming sensation that remains for quite some time. Besides that, a silent auction was happening. A beautiful display of fine art was showcased that depicted the beauty of wilderness. I loved each art work. It was time to witness the presentation shared by Ms. Tulika, Director, Singinawa Jungle Lodge. The preview took us to the beautiful jungle lodge where I could myself feel experiencing luxury amidst the wilderness. The presentation showcased every details of the jungle lodge. 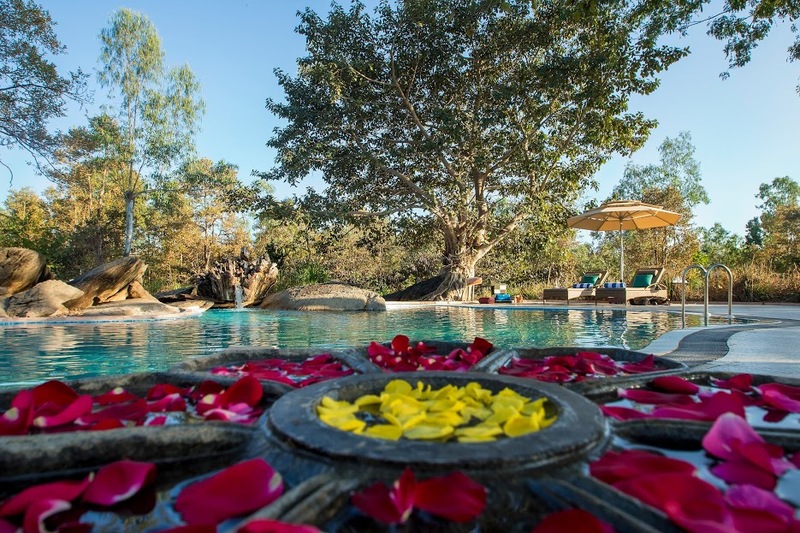 The Singinawa Jungle lodge is located on close to 110 acres of land, in the Tiger Heartland of India, that offers a unique luxury experience of the forests of Central India. 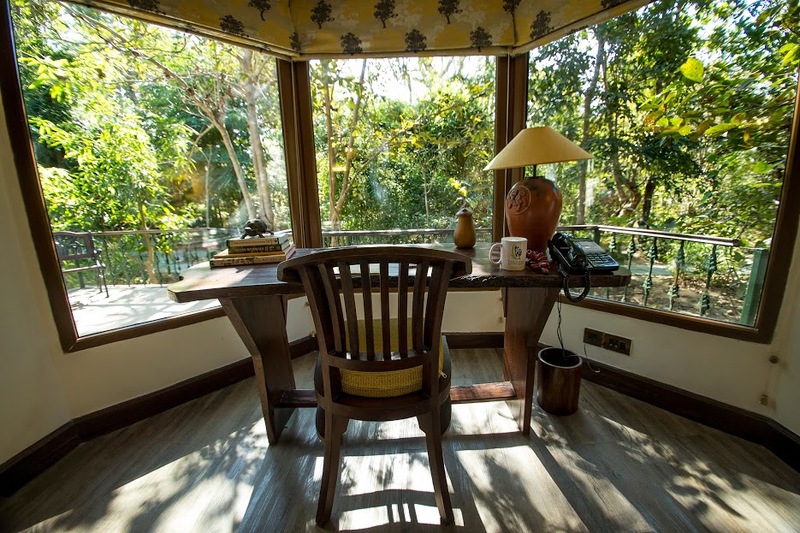 The Lodge offers a chance to not only learn about the tiger and its habitat but also experience ecologically responsible tourism & see conservation at work benefiting both local communities and the Tiger Reserve. 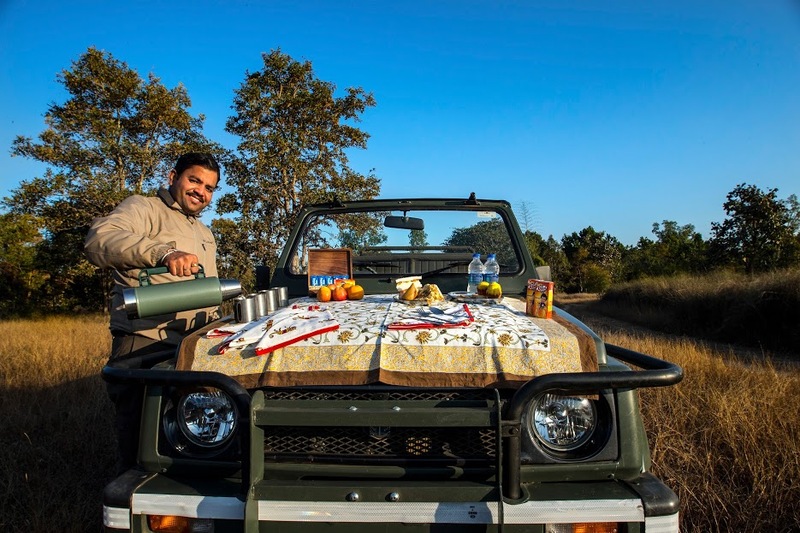 Trained naturalists take you on safari in customized 4x4 vehicles to offer an insight into the unique ecosystem of the park where animals like the highly endangered Swamp Deer, Dhole, Gaur, Tiger and a whole host of birds may be seen. 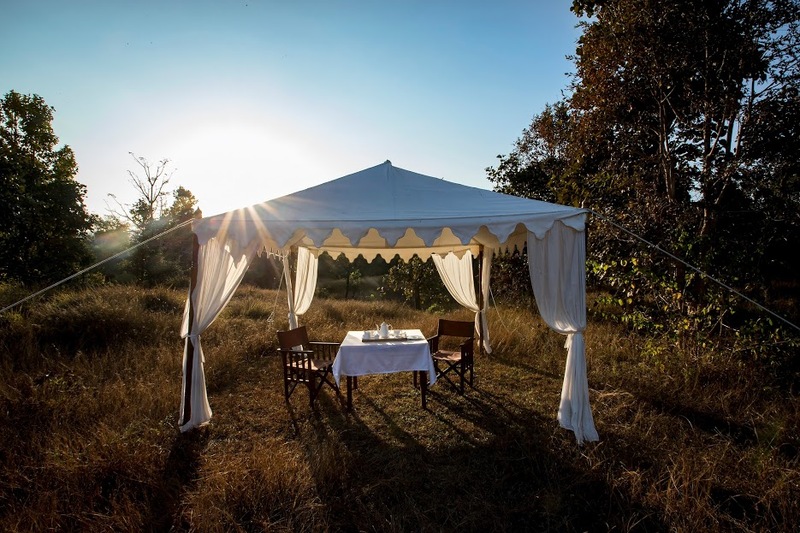 Back from safari, you can savor a choice of cuisines, relax at the spa, and go for a bicycle ride into the nearby tribal village, visit the model organic farm or even take a walk on the land to see how degraded land has been protected and natural grasslands & forests allowed to regenerate. 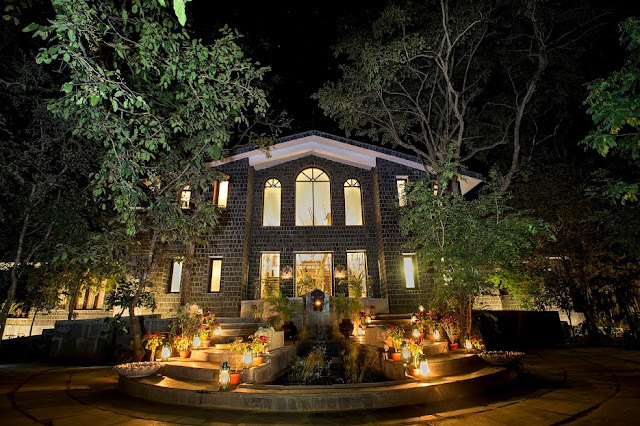 Guests can retire in 12 secluded and luxurious Stone & Slate cottages, or experience the Jungle Bungalow living at The Perch - A four bed room avid-fauna themed accommodation. 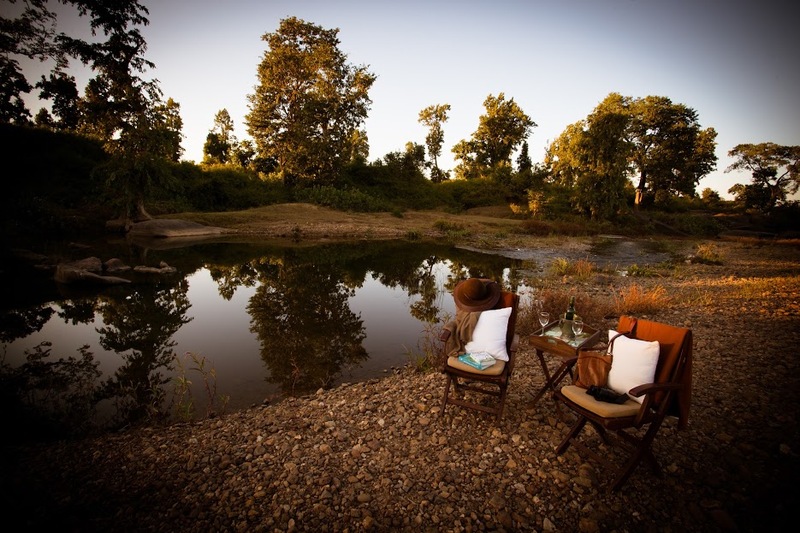 The lodge offers 12 luxury cottages in an area of 55 acres along with rich grasslands, plenty of water holes, river & dense forest area. Each cottage is tastefully designed to keep all comforts in mind. The Kanha museum, housed in The Singinawa Jungle Lodge is curated by renowned art historian and curator and recipient of the Chevalier dans l'Ordre des Arts et des Lettres from the French government, Dr. Alka Pande. 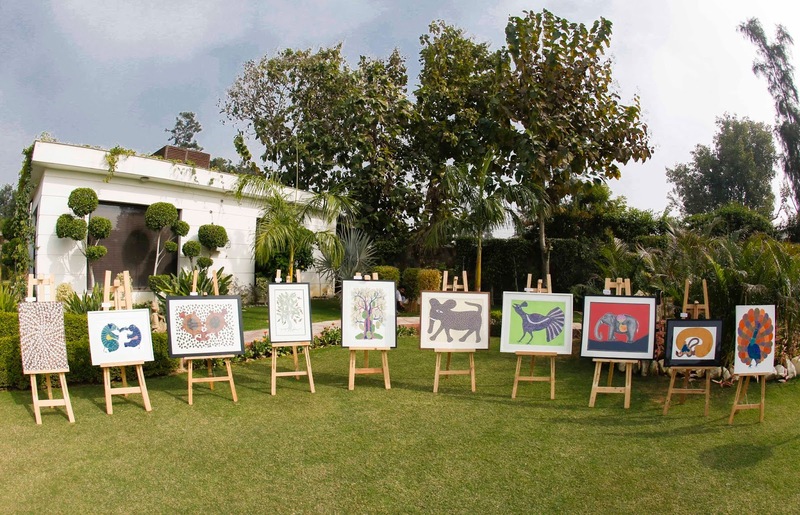 The museum offers tourists an opportunity to soak in the indigenous culture of the Gond, Bhil and the Baiga communities, through an aesthetic experience. 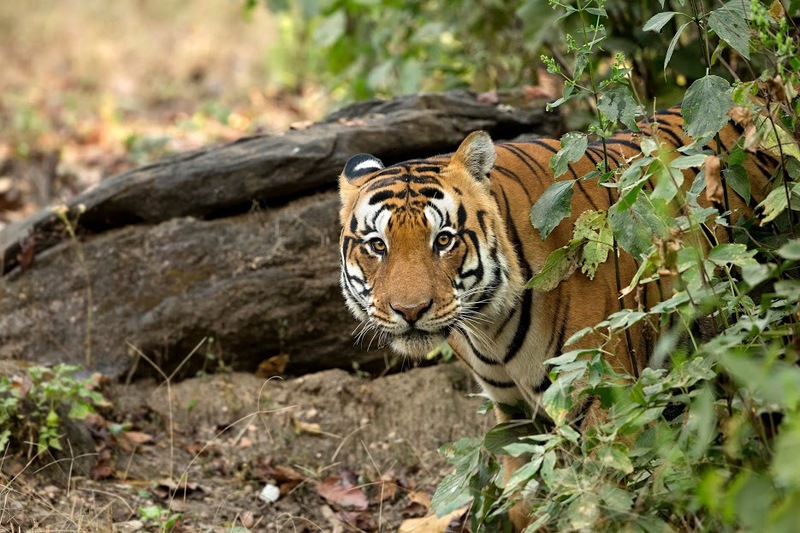 The Kanha National Park located in the madla/ balaghat districts of Madhya Pradesh is the finest tiger reserve of India. The lush sal and bamboo forests, grassy meadows and ravines of Kanha provided inspiration to Rudyard Kipling for his famous novel "Jungle Book" has the alluring features to captivate many visitors round the corners out of which the varieties of wild lives make the whole environs more blissful. The tropical central highlands of this arena make a perfect habitat for the splendors of wild animals. 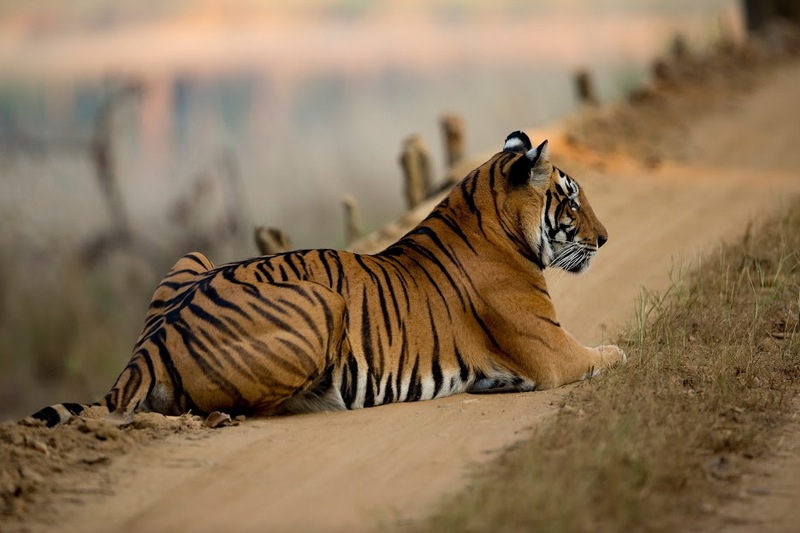 Kanha National Park is the host of the major animals including the Barasingha or swamp deer, Indian wild dog and the most famed the India Tiger. This park is mostly renowned as the "Tiger Reserve" due to the significant amount of population of tigers in the Kanha land. Apart from that the most famed Barasingha can be found in abundance in this reserve and thus this species can be suitable called as the "jewel of Kanha National Park". 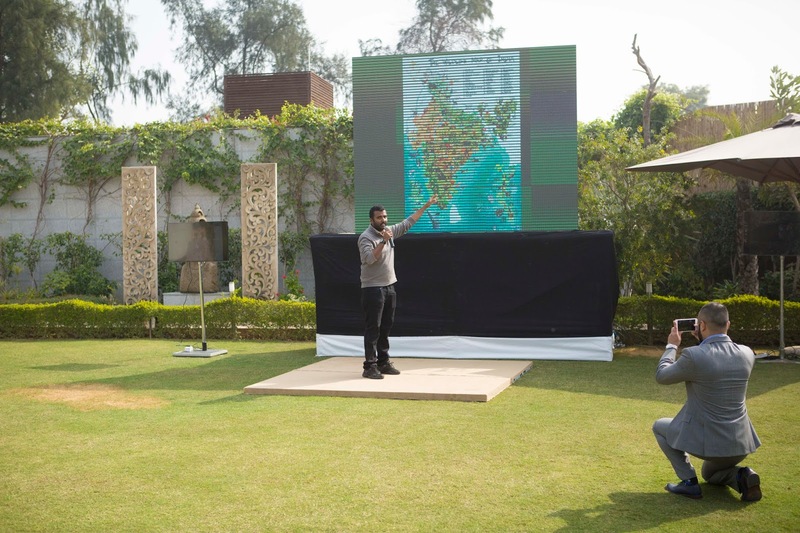 Accessibility: The national park lies in Central India 160 km from Jabalpur (nearest railhead and airport), 213 km from Raipur, and 270 km from Nagpur. There are regular 1 hour flights from all the major cities of India (Delhi, Mumbai, Bangalore, Chennai, Goa) into Jabalpur, Raipur and Nagpur. Guests and private groups can also make Charter flight bookings to Birwa airstrip (8 kms from the lodge) from all major airports of India. Activities and facilities: Jungle Safaris, Singinawa experiences, a freeform swimming pool overlooking grasslands and rock features, a fully stocked International Bar at the only resort that holds a Bar license in the region, a Spa with Indian & Oriental treatments for holistic healing, In-house library with a huge collection of Wild-life books, 7-8 different dining spaces in the open air as well as inside the main lodge. After the presentation was over, we relished food and wine and thanked the team for such a brilliant endeavor to promote wildlife and luxury at Singinawa Jungle Lodge. 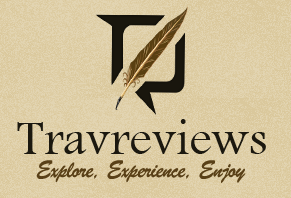 I look forward to visit the place soon and craft my own story based on my experience.